A tax-free spin-off with a pre-arranged merger. What is Reverse Morris Trust? 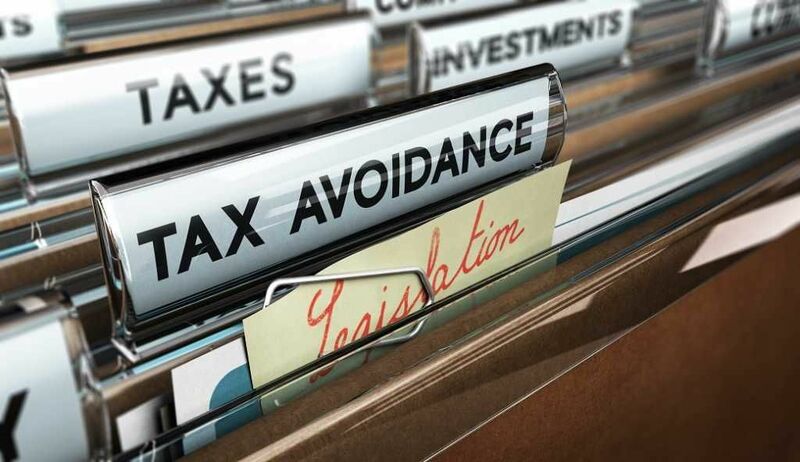 The Reverse Morris Trust is a form of tax-avoidance employed by companies. This tactic allows the company to sell off unwanted assets without incurring tax obligations on gains arising from the sale of these assets. The Reverse Morris Trust technique often works in the following chronology: the unwanted asset is sold to a new subsidiarySubsidiaryA subsidiary (sub) is a business entity or corporation that is fully owned or partially controlled by another company, termed as the parent, or holding, company. Ownership is determined by the percentage of shares held by the parent company, and that ownership stake must at least 51%. or shell, followed by a stock transfer to the public and a merger of the subsidiary with the buyer of the asset. The company employing the technique creates a shell company. This company is intended to later merge with a third party, who is the buyer of an asset. Upon merging with the third party, the newly merged company must hand back at least 50.1% equity back to the parent company. The merged company holds the asset and has effectively bought that asset from the parent company, tax-free. A spin-offSpin-OffA corporate spin-off is an operational strategy used by a company to create a new business subsidiary from its parent company. A spin-off occurs when a parent corporation separates part of its business into a second publicly-traded entity and distributes shares of the new entity to its current shareholders. offers an opportunity to the parent company to raise capital, monetize its interest in the segment being spun off, and thereby reduce debt. Companies resort to Reverse Morris Trust deals as they offer the combined benefits of mergers and spin-offs. Learn more about mergers and acquisition in CFI’s free introduction to corporate finance course. Often, the sole or primary business purpose for a spin-off is to shed an unwanted business and thereby facilitate the planned acquisition of a “wanted” business. In Commissioner v. Mary Archer W. Morris Trust, 697 F.2d 794 (4th Cir. 1966) (“Morris Trust”), the distributing corporation (“Distributing”) was engaged in two businesses: banking and insurance. Distributing transferred the insurance business to a new corporation and spun off the stockStockWhat is a stock? An individual who owns stock in a company is called a shareholder and is eligible to claim part of the company’s residual assets and earnings (should the company ever be dissolved). The terms "stock", "shares", and "equity" are used interchangeably. of the new corporation to its shareholders. Distributing then merged, for valid, non-tax business reasons, with another bank. The court determined that the continuity of stockholder interest requirement was satisfied because the historic shareholders of Distributing received 54% of the stock of the merged corporation, and, as a result, the transfer was a nontaxable spin-off. The perception became that, due to the lack of a continuing interest by the historic shareholders, the Morris Trust rule was being used as a device to transfer unwanted corporate assets without incurring a tax at the corporate level. For a while after that, companies kept implementing this type of tax-dodging transaction, but Congress did fix it in 1997, by passing the so-called “anti-Morris Trust” regulations that specifically closed the loophole. The rules are outlined in Internal Revenue Code Section 355(e) and Treasure Regulations 1.355-7. The Anti-Morris Trust Rules enacted in 1997 have further curtailed the ability to use this type of structure in a tax-free spinoff. Under these rules, a spin-off will be taxable at the corporate level (but potentially not at the shareholder level) if the distribution is part of a plan (or series of related transactions) pursuant to which one or more persons acquire 50% or more of the stock of either the distributing company or the spun-off company. As a result, while it is still possible to effect a Morris Trust transaction (distributing) or Reverse Morris Trust transaction (spin-off), the shareholders of the merger partner must receive less than 50% of the stock of the combined company (meaning that the merger partner must be smaller than the company with which it combines). Tax free reorganizationTax-Free ReorganizationTo qualify as a tax-free reorganization, a transaction must meet certain requirements, which vary greatly depending on the form of the transaction. Spin off and slit offSpin-OffA corporate spin-off is an operational strategy used by a company to create a new business subsidiary from its parent company. A spin-off occurs when a parent corporation separates part of its business into a second publicly-traded entity and distributes shares of the new entity to its current shareholders.